Good News everyone! 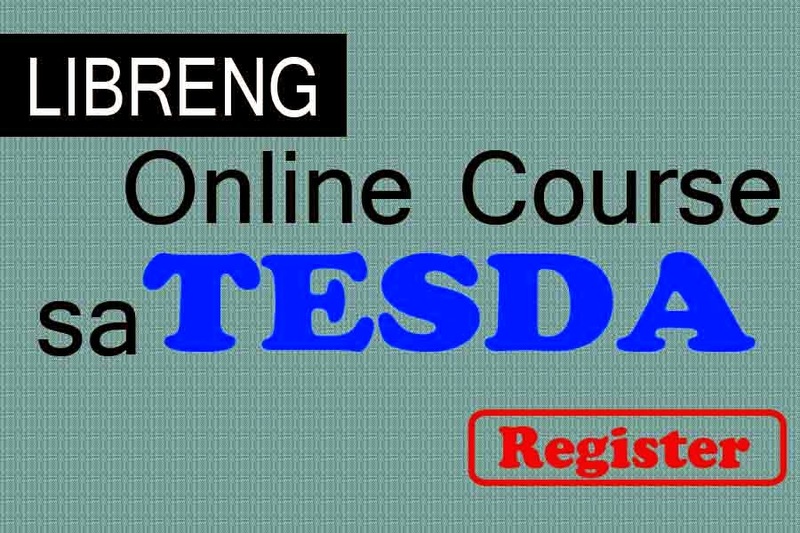 The Technical Education and Skills Development Authority or also known as TESDA, is now offering free (libreng) online course for every Filipino around the world. TESDA Online Program is created to reach more Filipinos who would like to learn new skills with the help of internet and devices like Laptop or Desktop. See the full list of online courses offered by TESDA here. Meanwhile, the TESDA Online Program didn't give certificate for the people who take the online course. But if they think they are ready, a face-to-face assessment test is required so they can get a license or training certificate. Simply go to the nearest TESDA assessment centers and take the necessary test. thanks for the informative post.... really helpful. iam interested to learn..
Kernel Sphere is one of the best Hadoop training institute in Hyderabad.http://www.kernelsphere.com/hadoop/ We are specialized in providing both the online and offline training. We are the Best Hadoop training institute in Ameerpet,Hyderabad. We have excellent training and lab faculty, to train the candidates. We provide full freedom to the candidate to explore and learn the maximum from the subject with the help of areal time expert. Thank you for sharing such a nice and interesting blog with us. Selenium Training in Chennai Hope it might be much useful for us. keep on updating...!! Pano po gagawin para makapag apply sa libreng online course. Thank you po. Awesome blog! Thanks for sharing this with us. I'm learning a lot from here.